Loving this look! 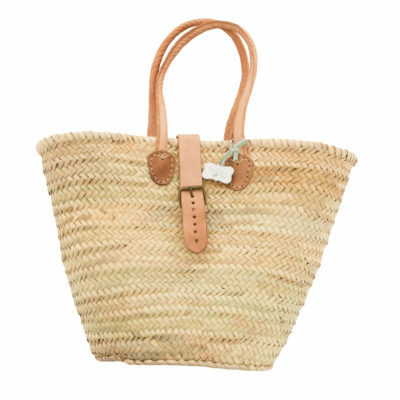 With a long adjustable leather strap to place across your body, and short sisal handles to carry in your hand, this hand woven palm leaf basket is just gorgeous. Approximately 30cm diameter, it is perfect for the summer! Add a tassel for extra brightness, and don’t forget one of our super-useful hammam towels – they are lightweight and packable to the size of a t shirt!